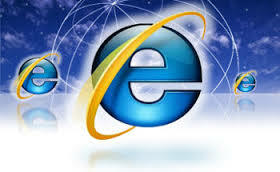 (AAP) – THE days of Internet Explorer are numbered as software giant Microsoft confirms it’s killing off the web browser. It’s thought Internet Explorer’s reputation for being slow and clunky has finally convinced the company to put an end to its 20-year reign. Although its speed has been improved in recent years Microsoft said there were “negative perceptions that no longer reflect reality” and it will introduce a faster, rebranded browser which was codenamed Project Spartan. Some older versions of Windows 10 will have Internet Explorer built in but the company said it would slowly move users over to the new one. Microsoft marketing manager Chris Capossela said the new browser didn’t have a name yet and research was going into what to call it.